Stuffed tomatoes are quick and easy appetizers. You can throw them together rather quickly, they deliver great flavor, and they’re so fresh tasting. Keeping the tomatoes raw retains their bright, subtly sweet acidity while the cooked quinoa mixture adds temperature variation as well as complexity. The quinoa with the cucumber and olives meld to create a toasty and briny yet palate cleansing bite with a hint of smoke thanks to the addition of smoky cumin. Feel free to double or triple the recipe to accommodate the number of people you plan to serve. Core and hollow out the tomatoes. Lightly season the inside of each tomato with salt and black pepper. Set aside. Rinse the seeds of quinoa under cold water and drain. Pour in the seeds and stir. Sprinkle in the cumin. 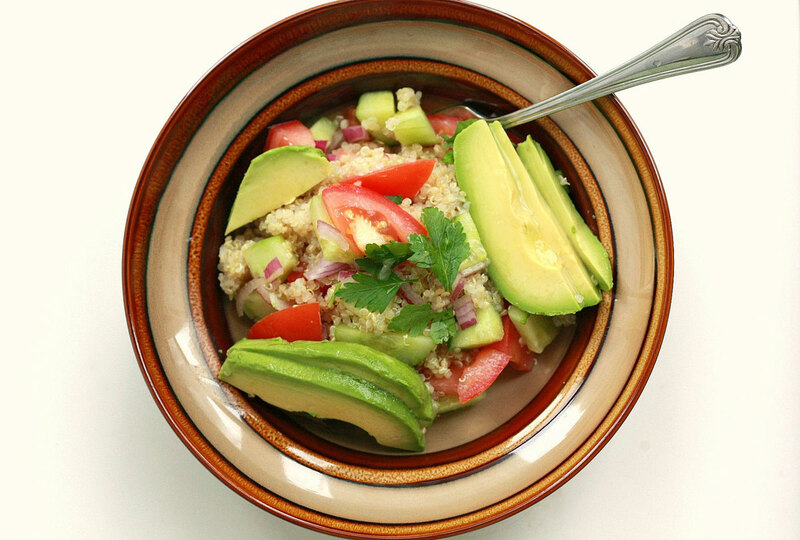 Leave the quinoa to cook for 12-15 minutes or until tender and all the liquid is absorbed. Remove from the heat and leave covered for 3-5 minutes to steam. Gently fluff with a fork. Add the chopped cucumber and olives into the quinoa. Drizzle with lemon juice and a little olive oil. Combine everything together. Make sure the cucumber and olives are evenly distributed. 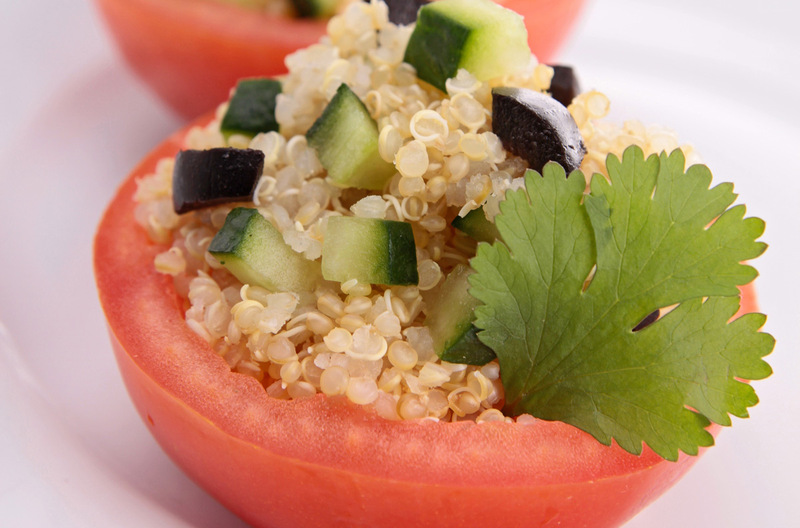 Carefully fill each hollowed out tomato with the quinoa mixture.